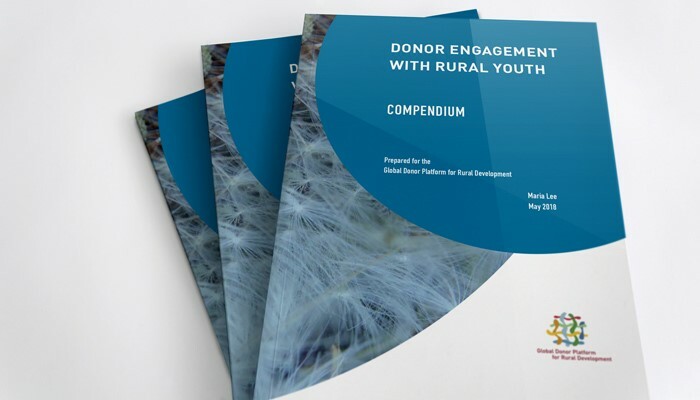 In preparation to the Annual General Assembly 2018 “Young and ready to move – empowering the new generation in the rural space”, the Global Donor Platform for Rural Development commissioned a compendium “Donor engagement with rural youth”. The publication aims at giving an overview of how donors engage with youth. The compendium is also meant to inspire and support discussion on design and implementation of the Agricultural Rural Development interventions that contribute to rural youth empowerment. Members of the platform are increasingly prioritising youth employment. The diversity of youth and the realities they face require considering different pathways to rural youth employment. Beyond employment, the question of rural youth empowerment includes dimensions such as political and civic engagement, self-confidence and ability to make choices and be heard, as well as access to land, finance, quality education and health, just to name the few. The publication comprises two sections. The first one presents the main findings on trends and approaches used by member organisations to engage with youth in developing countries, as well as remaining gaps and open questions. The second is a snapshot of members’ engagement, including some examples provided by each member of programmes and lessons learned. The study will be presented at the Annual General Assembly in Berlin (13-14 June 2018, Berlin) . In parallel, young people will offer some answers on how to move forward in rural areas.